Are you looking for transmission repair in Bergen County, NJ? European Exchange offers professional transmission repair in Bergen County, NJ. We provide European car transmission repair, American car transmission repair, and commercial vehicle transmission repair. Within our 10,000 square foot facility, our transmission service professionals offer expert service performed without delay. We are committed to your satisfaction and understand the interference car repairs can have on your daily routines, and that's why once your vehicle enters our repair shop, we get to work performing transmission repair in North NJ at affordable prices. Our team of vehicle transmission repair experts are experienced with many makes and models of vehicles, and are capable of performing transmission repair in Bergen County, NJ on vehicle types including antique car transmission repair, exotic car transmission repair, and luxury car transmission repair service. European Exchange is a nationally known transmission repair shop with an excellent reputation for expert transmission repair in Bergen County, NJ. With decades of experience, our professionals are trusted by antique car collectors, commercial fleet owners and operators, and many drivers in New Jersey and the Tri-State area. The trusted transmission experts at European Exchange ensure you are satisfied with our service and your vehicle's transmission repair. Our transmission shop is equipped with up-to-date equipment, trained and experienced professionals, and prompt expert service. With our affordable transmission services, the cost of transmission repair is manageable and gets your car back on the road soon after leaving it in our care. When switching gears, does your transmission not want to go? Have you noticed an odd smell that isn't oil or coolant? Do you have to keep adding transmission fluid to your car? Does your car shake or jerk when driving, and/or make a grinding noise? These are signs that you need a transmission repair in Bergen County, NJ. European Exchange has a team of transmission repair experts that will diagnose and repair your transmission at competitive prices. To learn more about transmission repair in Bergen County, NJ, call European Exchange today at 201-880-6633. 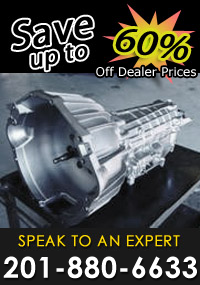 European Exchange - Your trusted source for transmission repair in Bergen County, NJ.